Mary Hamilton (1881-1962) was educated at St Andrews. Her father, Rev. William Hamilton, was the minister of the Trinity Evangelical Union Church in Dundee. (The church had been opened by James Morison [1816-93], founder of the Evangelical Union, in December 1877.) She held a fellowship from the Carnegie Trust (working on incubation) and was subsequently admitted to the BSA for the sessions 1905/06 and 1906/07. 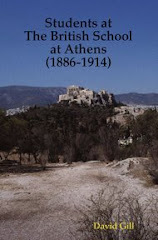 In Athens she met Guy Dickins (1881-1916) and they were married, c. 1909. Mary continued to use the address of her parents in Dundee. Dickins was appointed lecturer in classical archaeology at Oxford in 1914 and they moved to 12 Holywell Street. Dickins was commissioned in November 1914 (Kings Royal Rifle Corps) and served in France; he died of wounds received on the Somme in 1916. Mary continued living at Holywell Street until 1917 when she moved to Bevington Road in Oxford. In 1925 she returned to Scotland, Callendar in Perthshire. 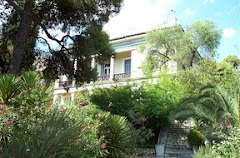 She subsequently married Lacey Davis Caskey (1880-1944), curator of Classical Art at the Museum of Fine Arts in Boston and her contemporary in Athens at the American School (ASCSA); they lived in Wellesley, Mass. Mary returned to Callendar in 1950. Hamilton, M. 1906. Incubation, or, the cure of disease in pagan temples and Christian churches. London: W.C. Henderson & Son. —. 1906/7. "The pagan element in the names of saints." 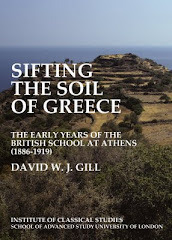 Annual of the British School at Athens 13: 348–56. —. 1910. Greek saints and their festivals. London: W. Blackwood & Sons.